China stocks had another wild day on Tuesday, as volatile momentum swings kept investors guessing about the direction of a market that has lost trillions of dollars of value in recent weeks. 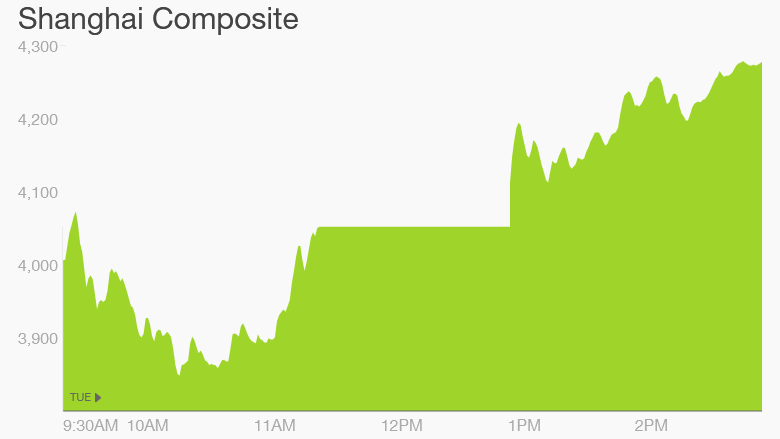 The Shanghai Composite dropped as much as 6% in morning trading, before bouncing back to close up 5.5%. The performance comes one day after China's benchmark index dipped into bear market territory -- defined as a decline of 20% from recent highs. The smaller Shenzhen Composite, which is heavy on tech stocks, also dropped 6% before mounting a recovery and ending the day with a 4.8% gain. The dramatic moves are the latest sign that investors remain fearful, and that efforts by Beijing to calm the markets have failed. Analysts at HSBC said that the central bank was trying to engineer a "soft landing" for stocks. Investors shrugged off the bank's decision however, with shares in Shanghai losing 3.3% on Monday. 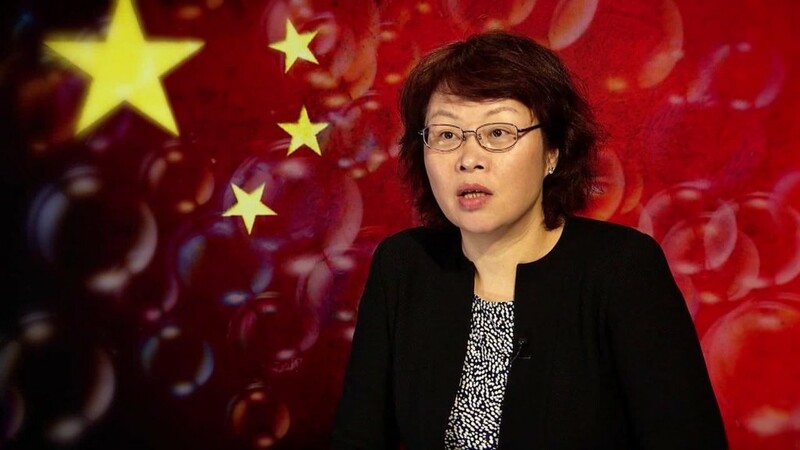 The China Securities Regulatory Commission took another run at reassuring investors late on Monday evening, issuing a statement that blamed "irresponsible internet hearsay" and critical commentaries for "disturbing market order." The statement, posted to the agency's official Weibo account, also said that "risks are under control" and recent declines are the result of a normal market correction. Even with recent losses, the Shanghai Composite has surged 32% this year, and the Shenzhen Composite is up 70%, easily making it the world's top-performing index. -- CNN's Yuli Yang contributed reporting.